Humans have designed a lot of games for solitary play: dozens of variations of solitaire, innumerable casual games and Tetris ® (which deserves a special mention based on the amount of time we've invested in stacking bricks). And while the majority of solitary play games are structured as "player vs game", there are a lot of other reasons to play games on on your own. In this Product Tip we will suggest a few ways that you can leverage solitary play in collaborative frameworks and introduce you to the solitary play version of Buy a Feature. We've used this extensively in our participatory budgeting work and we've found it has greatly increased engagement. 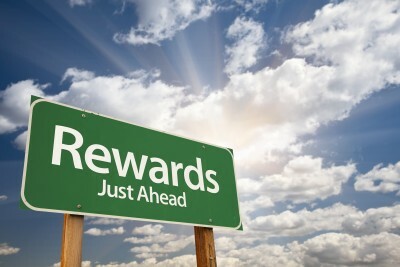 Let's Start with a Reward! This month's Product Tip comes with a reward: You get to control how Conteneo prioritizes its backlog for Idea Engine using Buy a Feature online. Conteneo will implement the top three items chosen by our community AND we will implement one new idea submitted by the community - provided you vote by 23-Feb-2017 11:00PM US PST. Preparation: Think about the last time you used a visual collaboration framework like Speedboat or Prune the Product Tree. What did you like? If you were the Product Manager, what would you improve? Join this forum: https://weave.conteneo.co/game/join?id=801-563-918. It works great on your mobile device - here is a screen shot of Single User Buy a Feature on an iPhone. 3. Select your top three features. It will be tough - there are a lot of good ones. 4. When you've reviewed all of the items feel free to add a new item. 5. When you're ready, rank you final three items and submit. Conteneo will share the results - and then we'll work to implement your top three features (from our original list) and one from your write-in candidates (your ideas!). The version of Buy a Feature we used to understand your priorities is a means to understand what you're thinking without talking with others. And while it clearly loses the power of talking through features with others, it has the virtue that it can help you reflect on what you really want. This process can be extended to visual frameworks. Let's consider, for example, the plight of a Product Manager who just attended her company's annual conference. She met with customers. She listened to salespeople. She heard the CEO outline the company strategy - which she knows, but she also gleaned a few new ideas from listening to the latest presentation. She talked with peers from other offices and she even listened to competitor feedback from some key customers. She's now faced with making sense of all of these ideas. This is a perfect opportunity for her to leverage a solo version of Prune the Product Tree. Using Weave, she can create a forum and start capturing her ideas. She can explore different combinations of features and enhancement requests in different time horizons. When she's finished, she can invite internal stakeholders and even customers to help her prune the results. As an aside, this is why the framework is called Prune the Product Tree, and not "Add more features to a bloated product". Need to make sense of your product roadmap? This version of Prune the Product Tree will help. Next time you're facing a challenge of sorting through potentially conflicting ideas, choose a framework and play a round of solo play. There are a number of times when you want to establish baseline opinions before a collaborative discussion. These provide two kinds of data: you'll know the opinions of participants before the meeting and you'll better understand the changes in opinions motivated by collaboration. Conteneo recently produced a product and technology strategy meeting for a $500M revenue software company with plans to grow to $800M in revenue by 2020. To help leaders prepare for this meeting we asked each of them to individually use the Innovation Ambition matrix to capture their perspectives on how their company can grow over the next few years (if you're not familiar with this framework read this post). We downloaded and analyzed the results of each individual leader's matrices. During our in-person strategy meeting, we reviewed each matrix and used them to build a shared framework of the true innovation ambitions of the combined leadership team. During a break, several leaders told me that they were glad they had the chance to reflect and prepare their perspectives on the future before discussing them as a team. And because we used Weave before the meeting, the executives were prepared to make actionable decisions during the meeting, dramatically shortening the time between decision and execution. Solitary play is a like chili powder in a pot of chili: a little goes a long way and too much spoils the pot. You can - and should - use solitary play to help you and others make sense of complex situations and prepare for strategic decision-making sessions. Just remember that it isn't a substitute for the power of collaborative play.